These were the international launches of a large number of significant announcements in IBM Storage Solutions around FlashSystems. Flash storage is talked about ubiquitously across the industry, and its a term used as a catch-all for all manner of storage architecture with various characteristics and performance metrics. Depending upon a vendor marketing approach, an interested party might perceive that all of the offerings available are created equal, and much of a muchness from a practical perspective – something which can be proven not to be the case. This perception is a topic I enjoy talking to people about – but I’ll put some thoughts down separately another time. Back to the IBM FlashSystem portfolio updates. There were a number of very interesting Hybrid and Private Cloud integration announcements and Converged systems (VersaStack) updates that warrant separate coverage, so I’ll not cover these today. In addition the IBM v9000 and a9000 systems also featured prominently in the announcements. For this summary however, I’m unashamedly focusing on Hardware and specifically on what can be considered the Flash(Core) (ahem!) 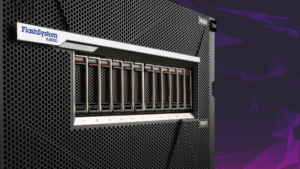 of the IBM Enterprise Flash Storage Systems – the FS900. For those of you who have not had the pleasure of meeting and spending some time with Andy Walls, IBM Fellow, and CTO of IBM FlashSystems, you are missing out on a treat. There simply can be no-one globally who is more engaging and knowledgeable about Flash Storage. Speaking with Andy is time well spent, and extremely enjoyable. The following is taken and based on Andy’s presentation for the launch along with some further notes and a few thoughts from me. Having met with him at the UK launch, he was happy to endorse my use of his material – so thank you very much, Andy. The FS900 is a storage array in its own right, and offers ultimate performance in a direct attach scenario. It’s also the storage module for the IBM v9000 and IBM a9000 IBM Software Defined Storage Systems. This means that updates the FS900 array, confers new capability and characteristics to the other systems within the range. FS900 with new 3DTLC Flash and Hardware Real Time Compression. That’s FlashCore applied to 3DTLC Technology – and that’s unique in the market. That means up to three times the Useable Physical Capacity that was previously available per enclosure – with new 3.6TB, 8.5TB and 18TB Flash Modules – up to 180TB of Enterprise native Flash in 2U. and thats excluding any data reduction. If you were to apply a very conservative 2:1 compression ratio to this and you have up to an astonishing to 360TB of Flash capacity in 2U. As a practical example of where one might want to maximise performance and crush latency, a 100+TB typical database workload (Compression 3:1 – again conservative), could be stored and run on a 36TB unit. The practical application fo this technology can generate Dramatic CAPEX and OPEX Savings. How? Well. customers have options to elect to purchase Full Capacity Standard Configurations or Capacity On Demand Utility priced configurations. The Flash Modules within the systems enjoy a 7 year wear guarantee – Andy Walls had to get that one past the IBM Lawyers, and they need serious convincing. Breakthrough Compression Technology – takes things to another level. This hardware capability confers full performance while carrying out compression. I’ll repeat that: FULL Performance while carrying out compression – there is Zero Overhead. In fact compressible data can have Reduced Latency and Lower Response Times than uncompressed compressible data. Compressed or uncompressed the FS900 delivers consistent 95 microsecond response. Having the capability to make use of Data Reduction for directly attached application servers is pretty interesting and valuable. SAN Fabric isn’t mandatory in this scenario needed, so no extra skills, extra switch hardware, software, and licensing need to go on the Bill of Materials (if for example you’ve only ever used iSCSI or SAS for external storage – or even never used external storage). That could include; Oracle, SAP, SQL, DB2 for starters. A bonus of dramatically reducing storage service times for these applications is that often this increase in throughput and large reduction in waits originating from storage latency achieves more performance from CPUs. 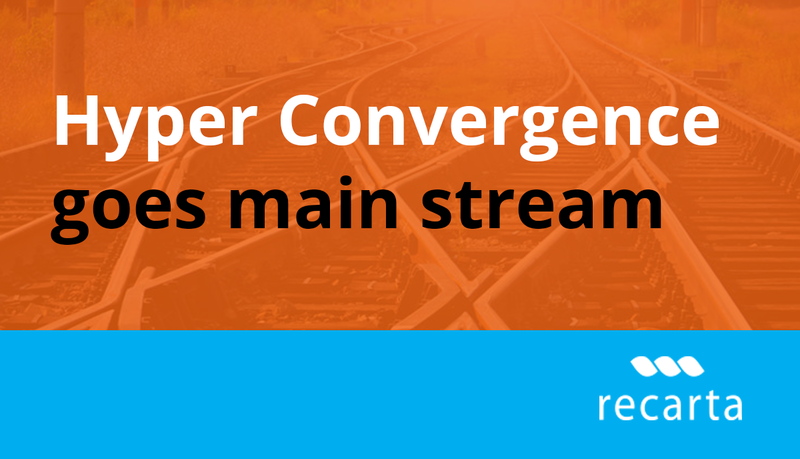 Fewer cores could be required to deliver the same or greater business workload. Fewer CPU/Cores required, means fewer needing to be licensed, and that’s opportunity to cut licensing costs and associated OPEX costs – in some cases such a reduction could be used to cost justify the change in storage technology. Data reduction through Real Time Compressions often handled by Spectrum Virtualise (SVC) Services, which are software based running on dedicated appliance nodes, server equipment, or as part of the IBM Storwize portfolio (v7000, v9000 for example). The SVC technology is extremely effective and efficient, but adding in the new capabilities in FS900 mean that the Native Data Reduction carried out in hardware, gives one an an alternative to Spectrum Virtualise (SVC), with the benefit of zero added latency. Furthermore, the v9000 (for example) systems integrated with the new FS900 equipment, and a use can select whether and where to use the Hardware Compression, or make use of the Software Defined Compression delivered by the virtualising systems. This is all managed from the v9000 controllers. The FS900 is a system which purposely does not include a large amount of extra software feature and function – its there to be massively performant, and deliver consistent low latency. The systems into which it is integrated, v9000 and a9000 for example handle copy services, snapshotting etc. However, as part of the announcement, an enhancement to the operation interface of the FS900 has been made. The interface now includes instant user system insights with unified activity and performance dashboard, new effective capacity management alerts and customisable notifications all there to increases efficiency. A final note is the capability to secure critical data with centralised encryption key management. This takes the form of SKLM (Advanced Encryption Standard (AES) 256. I love this IBM technology and talking to partners customers and prospects about it. Recarta have a fantastic heritage of designing and delivering creative, relevant IBM Storage Solutions to our clients. We work to help get more value from their data, and more action from the applications that rely on that data. We would be delighted to connect you with the global subject matter leaders within this technology, so please do not hesitate to ask. Please feel free to contact me, Ben Spode, for more information or with any questions – I’m always happy to help.